Children's Sermon: Using Jenga to Explain "Keep It in the Ground"
Have any of you ever built a tower like this at home? If you have, you have probably learned a few things about how a tower like this works. For instance, if you are careful, you can take a few blocks off the top and the rest of the tower will still remain standing. 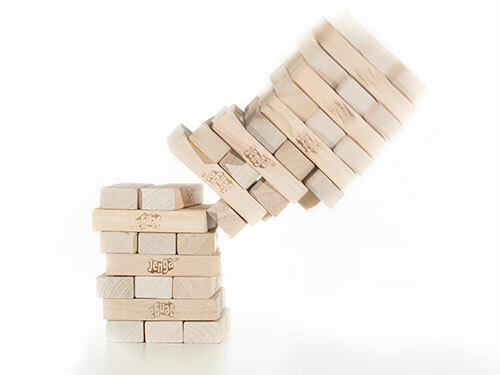 However, if you are not careful, simply removing one block from the bottom could cause the whole tower to come tumbling down! (Demonstrate this or ask for a volunteer to help demonstrate). Now, some of us just like to build stuff, so that we can knock it down, but if you are like me, when you build a tower or castle with blocks, you want it to be a masterpiece, and you don't want your brother or your sister to come along and knock the whole thing over. Well, you can think of the world in which we live as God's masterpiece. If we are responsible and we care about this world, then we will only move around its pieces in ways that don't mess everything up. But if we are not responsible and we don't properly care for this world, then we will start moving around pieces down below and eventually everything will collapse. God's masterpiece will be ruined. In a way, this simple idea captures what we will be talking during the rest of worship today. In order for God's masterpiece to continue to be beautiful and stable, we as humans have to keep certain things where God put them in the first place. This world evolved over hundreds of millions of years so that underneath the ground one can find huge amounts of oil, coal, and gas. If we are to keep our air clean and our planet healthy, we can't dig all of that out of the ground and burn it. We have to keep it there. That's part of caring for God's creation and the people who live on this planet. Let us pray: Dear God, may we be caretakers of your masterpiece. May we work to ensure its beauty and the health of our planet. We give thanks for the gifts of creation entrusted to us. In Jesus' name we pray. Amen.